Mid-1970s tee shirts with Biba's Deco-inspired logos. Store manager Eleanor Powell in front of Biba. Mail-order catalog excerpt with baby doll-inspired fashions. 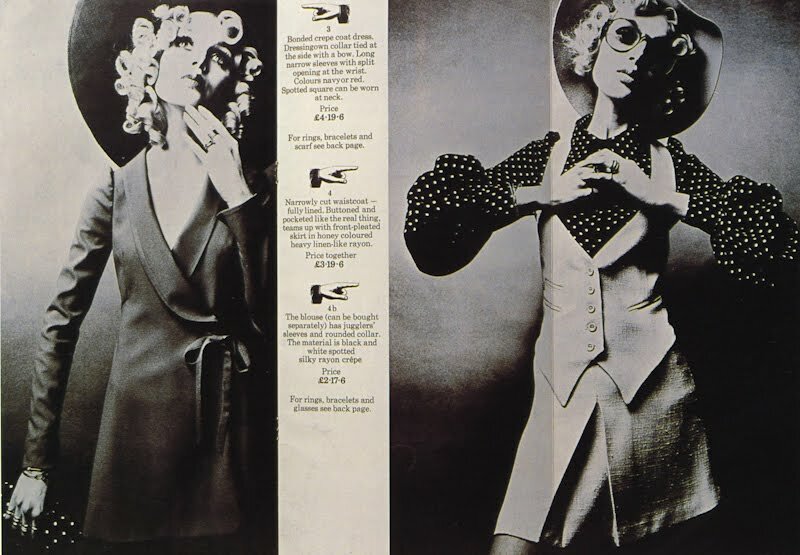 For those new to the name, Biba was a phenomenon of fashion that ran its course from 1964 through the 1970s. 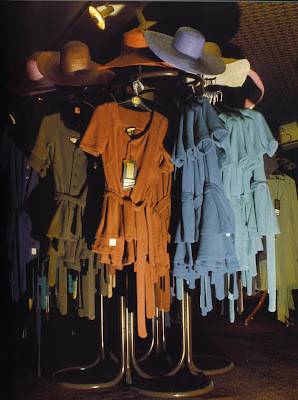 The label began as a mail-order catalog, the brainchild of Briton Barbara Hulanicki, who was tired of stodgy fashion houses and instead created on-trend fashions for young women at very affordable prices. She flourished on high-turnover fast fashion. 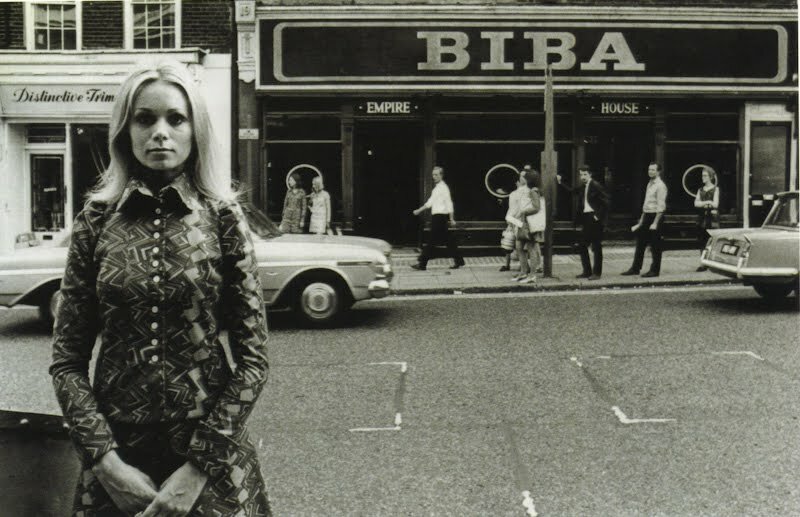 The idea was new, the look was new, and Biba soon became a storefront and a major London destination. Biba was always off-the-rack. Here it is on the rack in their posh 1970s London location. 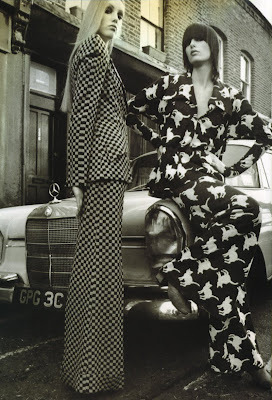 A 1960s London photo shoot contrasts old & new Britain. For me personally, I've always loved Biba designs for their 1930s & 40s inspirations, their outlandishly cool personalities and their impact on 1970s fashion. They often remind me of uber-expensive Ossie Clark from the same era. Ever hip, this photo shoot features 1930s-inspired pant suits. It's interesting that in our experience, pricey Ossie is actually found more often than street-chic Biba. An interesting twist on this sought-after ready-to-wear label! Turner, Alwyn W. Biba: the Biba Experience. Woodbridge: Antique Collectors' Club, 2005. Print.